​This is the perfect brush for applying any cream product, such as Mary Kay® Eye Primer, Mary Kay® Cream Eye Color and Mary Kay® Perfecting Concealer. The Mary Kay® Cream Eye Color/Concealer Brush is customized to perfection, featuring a handle that has been uniquely shaped to maximize comfort and control when applying your makeup. 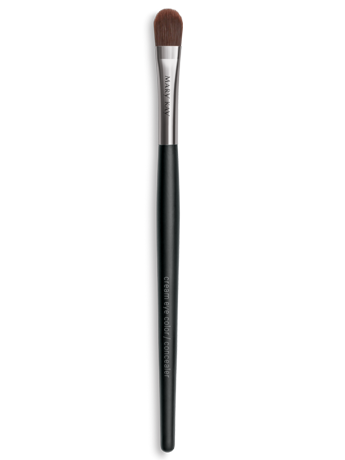 The brush is made from high-quality synthetic bristles that help provide an easy and flawless application. 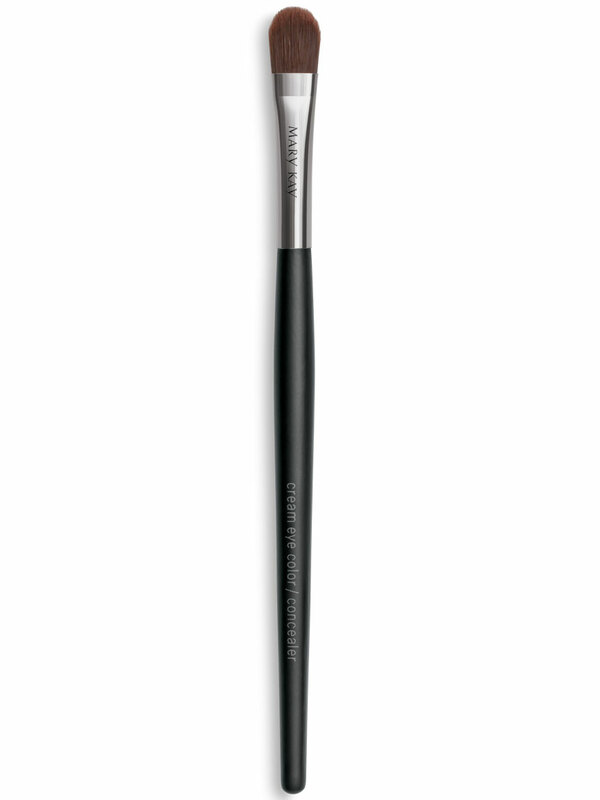 Cream Eye Color: Dip brush in product and apply using short, sweeping brush strokes. Layer product for desired effect. Concealer: Apply small amount of concealer to back of hand. Dip brush in product. Use the tip to cover tiny imperfections and use the flat end to help cover larger areas of skin. Blend. The tapered shape allows for precise application and even distribution of each cream product. This is the perfect brush for applying any cream product, such as Mary Kay® Eye Primer, Mary Kay® Cream Eye Color and Mary Kay® Perfecting Concealer. For hygienic reasons, one brush should be dedicated to each cream product. This brush is perfect for everyone from novice to professional and is easy to clean.